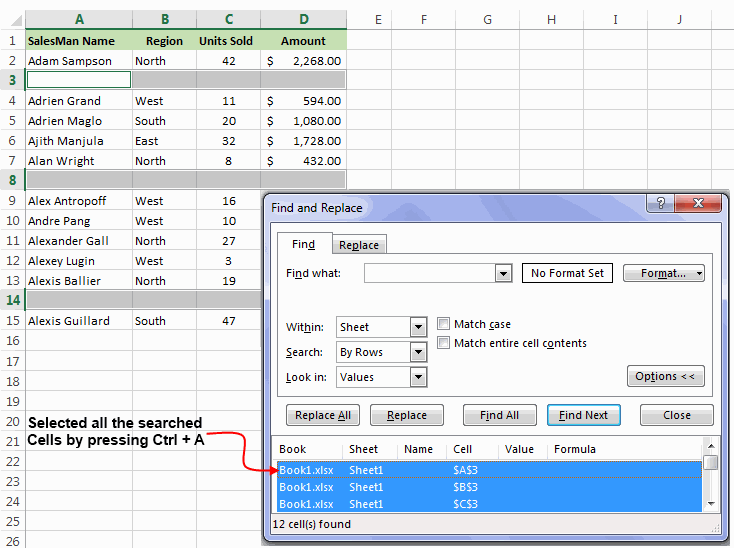 First, select your data set and hit Ctrl + F keys to open the “Find and Replace” dialog. Next, Click the “Options” button, and select “Values” from the “Look in” dropdown. Let the “Find What” textbox remain blank and click “Find All”. After this the “Find and Replace” dialog will display all the blank cells. Click any one record and press Ctrl + A to select all the blank cells. Now, Close the “Find and Replace” dialog and without clicking anywhere else navigate to ‘Home’ > ‘Delete’ > ‘Delete Rows’. 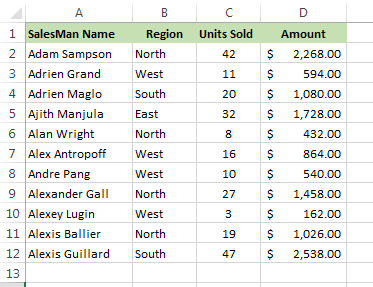 This will delete all the selected rows. First of all select the range from which you need to remove the unfilled rows. Navigate to “Home” > “Sort and Filter” > “Filter” or alternatively you can also press the Shift + Ctrl + L keys to apply a filter. After this select a column, click the filter dropdown, uncheck all the values excepting “Blanks” and click “Ok”. Now, with all the unfilled rows selected, navigate to ‘Home’ > ‘Delete’ > ‘Delete Rows’. 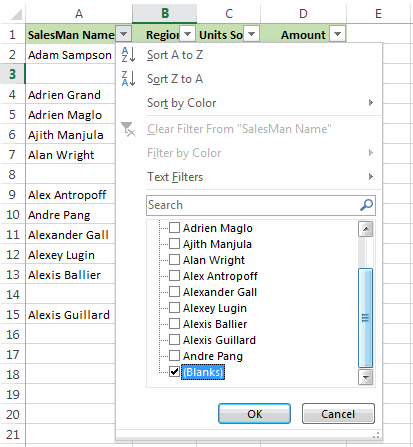 Finally remove the filter and you will see unfilled rows eliminated.